soulsofnrti – A repository of activities at National Rail and Transportation Institute, Vadodara. A repository of activities at National Rail and Transportation Institute, Vadodara. 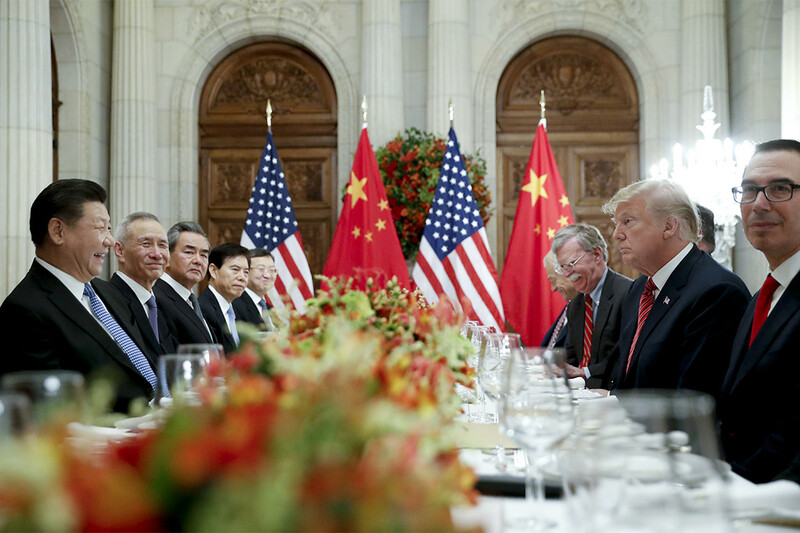 President Donald Trump with China’s President Xi Jinping during a bilateral meeting. GDP, a term which is quite debatable after the present government in India just shifted the base year from 2004-05 to 2011-12 as well as also made some modification in the calculating procedure of GDP. GDP in a laymen language is a sum of three words “Gross”+”Domestic”+”Product”. To Understand GDP we just need to know about the meaning of these three words separately. Gross means total(sum of all which it encompasses), Domestic means (inside a particular boundary in this scenario country) and product(anything which is produced ) here includes merchandise goods as well as services. CSO(Central Statistics Office) has released the back series data of years 2005-11, which signifies that GDP growth is quite lower than what was calculated previously. Thus the growth rate of UPA regime which was previously surging over 8% has been lowered to 6.7%. While the UPA regime was in power investments were surging at very high rates(37.4%) but in the NDA regime investment plunged to significantly lower levels(30.2%). Even the network penetration had been very high in the UPA regime. For the Manufacturing sector, Data source has been changed from ASI(Annual Survey of Industries) to MCA(Ministry of Corporate Affairs) level. 2. The growth of Mobile phone subscribers changed to Amount of data and minutes of voice. In conclusion, the range of various sectors has been diversified as well as the methodology CSO has adopted now is in sync with UN’s methodology of System of National Accounts 2008. We can say that it will have some political implications on the upcoming elections of Lok Sabha. But from the economic point of view, there existed a dire need to re-calibrate our methodology with the structural changes that had occurred in the previous few years regarding the collection of data. Economics is the art of distributing very scarce resource for the need of the society’s infinite demand. That is why one needs to re-calibrate their methodologies with changing scenarios.